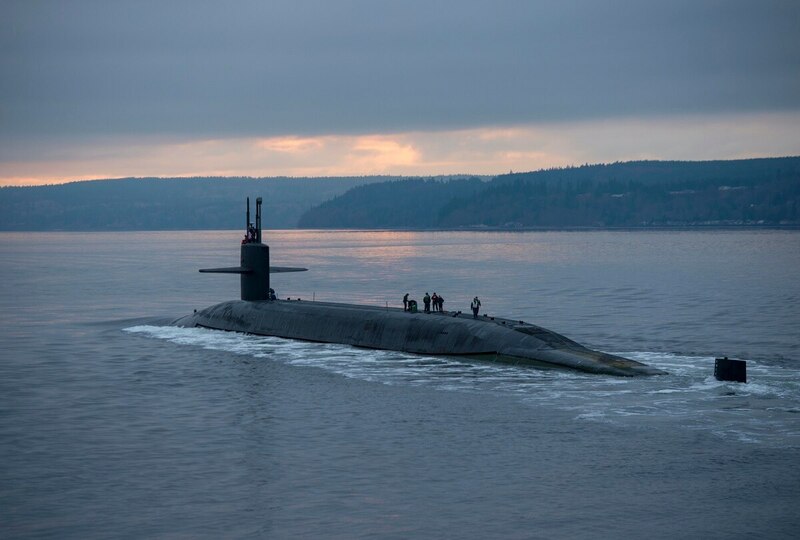 WASHINGTON — The Pentagon expects to spend $48.5 million over the next five years developing a new low-yield nuclear capability for submarine-launched ballistic missiles. That figure was included in written submissions to Congress, obtained by the Union of Concerned Scientists and shared with Defense News ahead of upcoming hearings about the defense budget. It represents only the defense department’s expected expenditure for the new warhead, and does not include funding from the Department of Energy. Per the testimony, there is $22.6 million set aside to help develop the warheads in fiscal 2019 and $48.5 million spread over the life of the Future Years Defense Program, or FYDP, a series of projected numbers that cover through FY23. That includes $19.6 million in FY20, $3.2 million in FY21, $1.5 million in FY22 and $1.6 million in FY23. Those numbers are just projections and could change depending on need or changes in technical difficulty — notable, as the National Nuclear Security Administration has yet to figure out the full design and is still working out the technical requirements. But the fact the money is largely up-front is in line with what has been said publicly by government officials about the timeline for the W76-1, the existing SLBM warhead design currently going through a life extension program. That extension production line is scheduled to shut down in FY19, but NNSA director Lisa Gordon-Hagerty told senators at a March 14 hearing that the government is sorting through right now whether they would need to extend that production run to accommodate the lower-yield options. The lower-yield option “shouldn’t have a significant” impact on the current W76-1 production, Gordon-Hagerty said, adding that she did not expect any special testing or simulations would be required for the low-yield option as opposed to their more destructive cousins. However, she also noted that there is currently no money in place from NNSA’s budget to work on the W76 variant, signaling that the $48.5 million DoD expects to spend will not be the final cost of the weapon design. NNSA handles development and production on the warhead itself, while DoD handles the delivery systems. The Nuclear Posture Review raised eyebrows with its call for a low-yield warhead for the submarine-launched ballistic missiles. The plan involves a “near-term” solution in which the NNSA would modify a small number of existing W76 SLBM warheads to turn them into low-yield weapons. Just how many warheads would be modified is classified. The agency is already in the process of doing a life extension on the W76 warheads for those weapons, with Robert Soofer, deputy assistant secretary of defense for nuclear and missile defense policy, telling reporters ahead of the NPR’s publication that the plan is to set aside a few of those warheads and make them less powerful, instead of developing a brand-new system. “All this would require us to reserve the last X number, tens of warheads, and instead of doing a full [life extension], do the primary only. It doesn’t require additional capacity,” Soofer said of developing the capability. On the Navy side, the service would “just take that warhead and make sure they can qualify” an SLBM on a sub. The Pentagon has argued that developing low-yield nuclear weapons is needed to counter threats from China and particularly from Russia, which has invested significantly in its own low-yield weapons in what U.S. officials believe is part of its “escalate to deescalate” strategy. Under that concept, Russia would be willing to use a small nuclear weapon, assuming NATO allies — when faced with using a strategic nuclear weapon or not responding at all — will back down in a conflict. However, members of the nonproliferation community, such as Stephen Young, a senior analyst with the Union of Concerned Scientists, counter that a low-yield weapon will be destabilizing, particularly given the rhetoric from the Trump administration over nuclear weapons. For more coverage of America’s nuclear arsenal, click here.